One of the largest drawbacks of accepting paper checks is it leaves you open to fraudulent and bounced checks. In addition to uncollected funds, you are also likely to get charged by your bank for NSF fees. With check guarantee & conversion, you no longer have to worry about bounced checks! 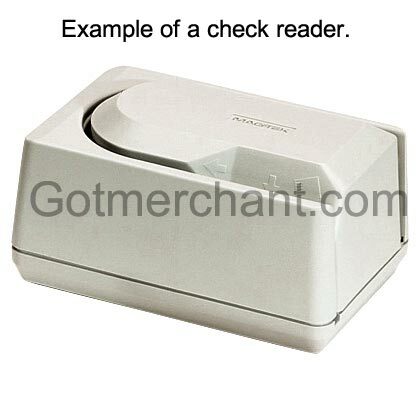 You simply slide the check through your check reader and it is processed electronically through the ACH network. Your funds are guaranteed and automatically deposited into your checking account within two business days. You stamp the check "ACH" and return it to the customer. An external check reader is required for this service. For more information or to get started, please contact us.